I must admit it was with a certain amount of relief that I rode across the North Dakota / Montana state line. As I turn in my saddle and stretch my gaze back to New York well it all still seems like a dream. How could I possibly have ridden that far? So much can and does happen in any given day-how ever did I make it…I’ll tell you, with a lot of help from folks like yourselves who follow the rides. North Dakota is one of my favorite places to ride. The dirt roads, small towns, water, grass and plenty of places to camp all add up to an easy state to ride across. The oil boom has slowed some but still as I rode across the northern part of the state only a couple of miles from the Canadian/U.S. border, it was busy. All the towns were busy and so were the roads. New wind farms are going in. The farming in North Dakota is some of the worlds most productive land, mammoth machinery, mammoth fields. As I came across the Mouse River two weeks ago we were caught in a serious storm. I thought it might blow over but it settled in with raging 70 mph winds and rain. I found shelter behind a grove of thick evergreen trees, set up camp and waited it out. This is the kind of wind that you can not even stand in, let alone ride in. But the shelter worked, the horses had grass and there was even a small pond for horse water. Serious business, I was lucky. Picked up my new saddle from Tuckers Saddle Co. my Black Mountain saddle has gone in for a few repairs, after 12,000 miles it needed a few repairs. I am now in an Endurance saddle the Trail Endurance, and oh my it is comfortable. Roger Robinson has been such a huge help. He owns the Blacksmith Shop, (see sponsorship page) and sends out horseshoes that have his Dril-tech on the bottom. The pair I just took off yesterday came all the way from Thief River Falls, MN. that’s about 6/700 miles!!! But I’m having some issues with the toe wearing on Spirits rear hooves and Roger has made some alterations on the shoes. I can not tell you how much it helps to have a farrier of his caliber riding with me!!! I did have to venture over to the road dept. machine shop for help this morning. I could not get the rear shoes shaped properly and needed a big hammer and anvil which quite obviously I do not carry The men were up to it and they had an anvil and big hammer and they just shaped those horseshoes up for me in no time. I carried them back and had them on the horses hooves in no time. I left with a smile, wonder what they thought? The sun takes it time setting and rising out here on the plains. I don’t have to be up quite so early and there is a shift in weather, its a bit cooler with the northern winds pushing, no shoving cooler air down our hot necks. The horses are in excellent condition. Neither one has been sick or hurt in the 6500 miles we have traveled thus far. They are by far the best team I have ever taken out. So very steadfast! 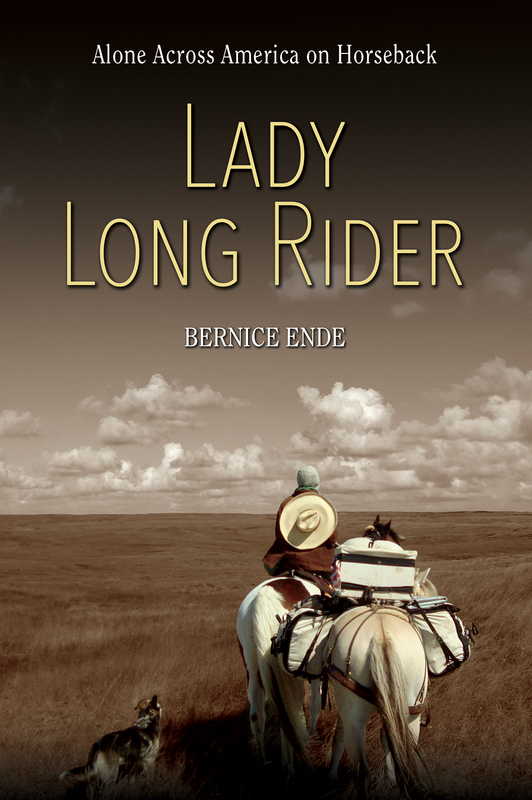 I rode into Plentywood, Montana on Monday and as I rode in a man in a cement truck caught a glimpse of me. His name is James Lord. 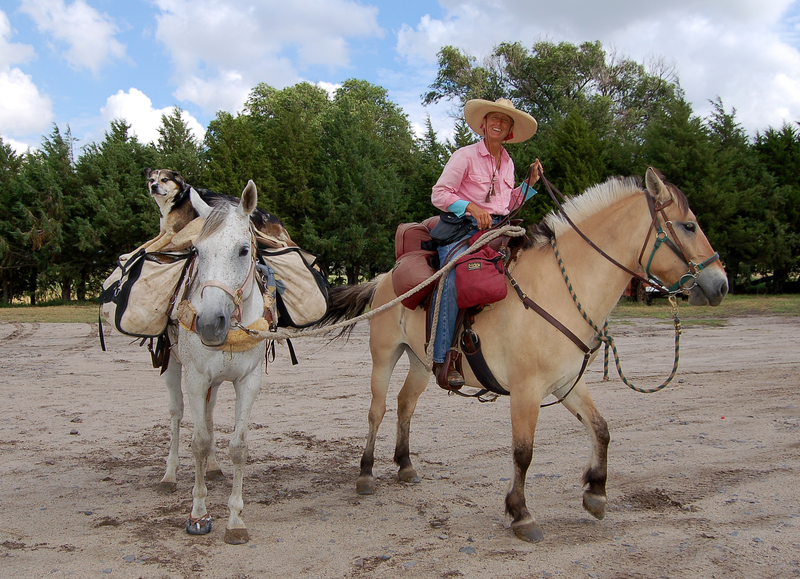 He and Betty Smithers saw me last year as I rode through Medora, North Dakota. I so remember them because James jumped out of their jeep they were driving on the freeway entrance I was riding along. Shoved a $20.00 bill in my hand and said,”here go buy yourself a steak, we think what you’re doing is awesome.” They have been out to visit at the fairgrounds a number of times as have a lot of other people. Still don’t know why every one does not think I am just plain nuts doing what I am doing. Well the library is closing so this is it. forgive the misspelled words this is done rather quickly. Took us a while but we are finally going back into Canada. For Various reasons, roads, weather, forest fires burning in Canada….just kept me from getting back up there. But now our paper work is done and this will be the 3rd time I have crossed the border with the horses. I have enjoyed my travels each and every-time I have ridden in our northern neighbors country.